GMB rebutted the claims made by Kier Environmental Services management over the strike by GMB members over pay in North Norfolk. Last month GMB members voted overwhelmingly for strike action and gave notice that this is likely to commence on 31 October 2016. Julian Tranter, managing director of Kier Environmental Services has said that North Norfolk refuse collection team pay increases are set by the National Joint Council (NJC) agreement and that GMB agreed the 2016/17 NJC increase of 2.4% over 2 years. He also said that Kier already pay the collection team at least the Living Wage, with over 80% of the team paid above the Living Wage. Richard O'Leary, GMB regional organiser, said, "The comments from Julian Tranter are quite simply inaccurate. The National Joint Council (NJC) negotiate a national cost of living pay award for all NJC Local Authorities. Pay scales for specific roles are negotiated locally under Part 3 of the Green Book. The Trade Unions and Regional Employers monitor pay rates across the region on a regular basis. Many Local Authorities and Contractors now pay the real Living Wage of £8.25 per hour. In reality Kier Environmental Services have offered nothing to most of our members, their only offer being what they would have to do to comply with the Government's Living Wage. 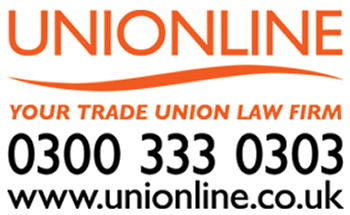 GMB members also do not receive other benefits which transferred under the TUPE Regulations, such as holiday entitlement in line with Local Authorities. If you calculate the actual hourly rate against the hours worked by staff, a requirement of the Working Time Directive, there is the possibility staff actually receive below the National Minimum Wage. If Kier Environmental Services wish to use Local Authorities as a benchmark to set pay and terms and conditions, we are very happy to explore that as all Local Authority Employer's doing identical jobs receive significantly higher rates of pay and better terms and conditions."